The Preble County Soil and Water Conservation District and the Preble County Solid Waste District co-host each year an Earth Day event. Since its beginning, this event has been well received by the local community and schools. Most of the funding for Earth Day is provided by private donations from local businesses in Preble County. The event is held at Pleasant Vineyard Ministries Camp located in Camden, Ohio. The camp is a beautiful 80 acre site for the event. It is family owned and operated by the Maynard’s. Dave Maynard is the second generation director of Pleasant Vineyard Ministries. Earth Day reaches approximately 565 students from the sixth grade classes at Twin Valley South, Tri-County North, National Trail, Preble Shawnee, and Eaton Middle Schools. All 25 presenters that participate in this event volunteer their time and talent to educate students on various conservation related subjects. This event would not be possible without the hard work and support of community volunteers, presenters, and the staff of Preble Soil and Water Conservation District and the Preble County Solid Waste District. The Preble County Fair begins the last Saturday of July and concludes the first Saturday of August. Events at the Preble County Fair generate a large amount of waste. The Preble County Solid Waste Management District office is committed to minimizing the amount of trash entering our landfill. 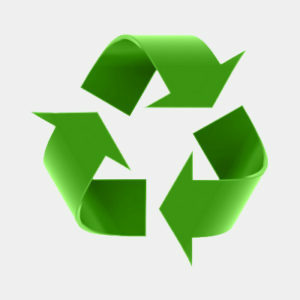 We work closely with the vendors to capture all recyclables produced at their booths. We set up recycling containers throughout the entire grounds which are accessible to all visitors. With the cooperation of everyone we are able to make this an environmentally friendly event. In addition to coordinating recycling during Preble County Fair week, our office also sets up an informational booth. There is a staff member available to answer questions while distributing free literature and promotional items made from recyclable material. Stop by and see us at the Preble County Fair! The Preble County Pork Festival is held each year on the full third weekend of September. People from all over come to see what the legendary Pork Festival is all about. Approximately 600-700 vendors rent booths during this weekend event. Five different kitchens produce foods including pulled pork, pork chops, cole slaw, applesauce, pie, etc. It is estimated that 200,000 people attend the Preble County Pork Festival. 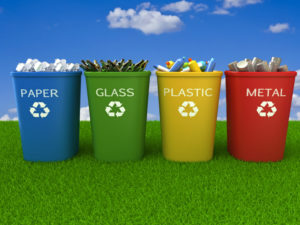 The Preble County Solid Waste Management District recycles all tin, aluminum, plastic, and cardboard produced by the kitchens, vendors, and visitors. On average 2,000-2,500 pounds of recyclables are diverted from entering our landfill during the Pork Festival.